Young coconut meat differs greatly from mature coconut -- it has a softer, almost gelatinous texture that many people use to mix into beverages or baked goods recipes. You can tell the difference between a young and mature coconut because a mature coconut is hairy and brown, while the immature version is smooth and green. The nutritional value of young coconut meat may be different as well, containing few calories, no fat and several vitamins and minerals. An 11-ounce serving of young coconut meat contains 65 calories. Your total caloric intake is likely to be greater as this type of coconut is not routinely eaten by itself. One serving also contains 17 grams of carbohydrates. You need at least 130 grams of carbohydrates on a daily basis to provide energy and maintain the effective function of your kidneys and heart. Young coconut meat is a good source of manganese, a mineral that is beneficial for production of blood clotting factors and connective tissues. One serving delivers 50 percent of the daily recommended intake of manganese if you follow a 2,000-calorie meal plan. Getting adequate quantities of manganese may also positively influence fertility, so eating young coconut may help if you are planning a family. Consume a serving of young coconut meat to boost your potassium intake. A serving of this type of coconut provides you with 15 percent of the potassium you need every day. This mineral keeps your muscles and digestive system working properly, and adequate intake may correlate to bone health as well. Consider combining young coconut meat with bananas, a high potassium fruit, to increase potassium in your meal plan even more. You take in 6 percent of the magnesium your body requires each day in a serving of young coconut meat. 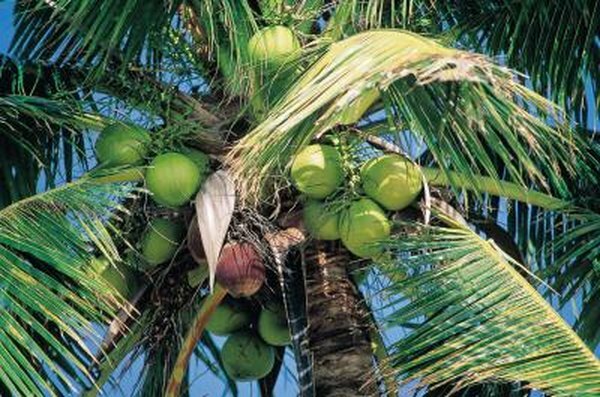 The magnesium available in this coconut influences energy production and also plays a role in the function of your muscles and kidneys . This mineral is critical for maintaining mineral and vitamin levels in your bloodstream, including calcium, copper, zinc, vitamin D and potassium.